2013 is almost over. Where has the year gone?! It has been a pretty good year I thought I would do a roundup of what has been occurring on my blog and in my life in 2013 so grab a brew and lets reminisce! Since Dolly Daydream is supposed to be mainly a fashion blog lets start with outfits! 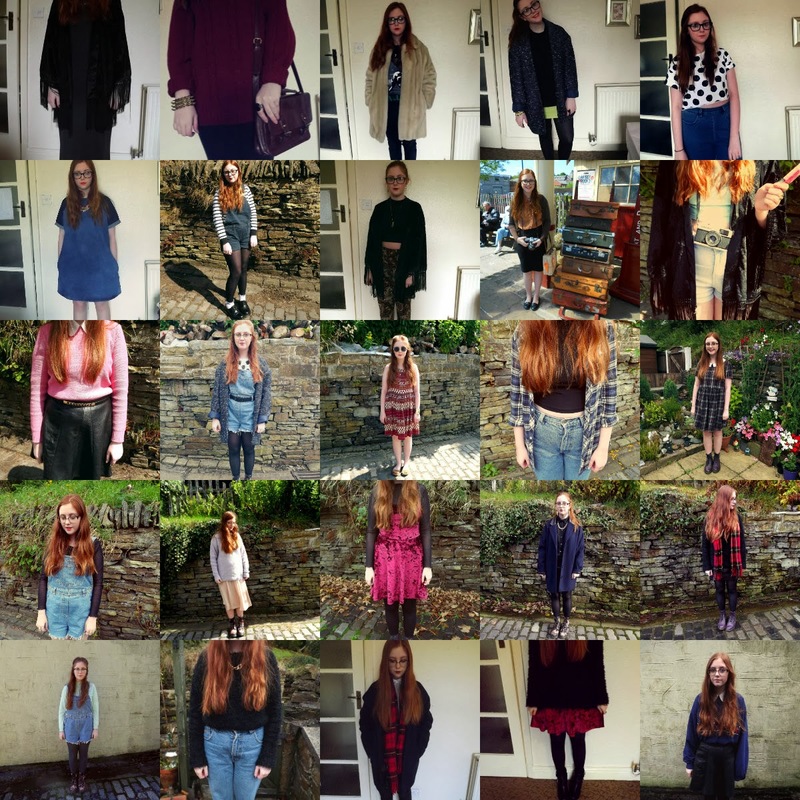 This year I have posted around 65 outfit posts which I think is pretty good. Looking back at my outfit posts from the beginning of the year to now shows me how I am slowly but surely getting better at taking outfit pictures (can I get a hell yeah?) but it also shows me how my style is changing and hopefully improving. You can see all of my outfit posts here. This year I started doing reviews of products that I have used so that my blog doesn't consist of simply outfit pictures. I am not completely sure whether my lovely followers like my reviews so it would be lovely to know what you guys think! You can see all of my reviews here. Some highlights of the year have been visiting my sister in Chester, the vintage weekend I go to every year, a town near me staring to do vintage fairs, visiting St Anne's with my mamma and sister amongst many other things. I haven't spoken about this at much length about my trip to Poland with the Holocaust Educational Trust in order to visit two of the three Auschwitz camps other than on the run up to my visit simply because it seemed inappropriate to do a blog post on Auchwitz as I think it would take away the severity of the issue. Despite this I am including my trip in my roundup because it has to have been the most life changing thing that I have experienced this year. I was able to meet two Holocaust survivors and see a place of such incredible historical importance. I wont go on too much about it but if you ever get the chance to visit please go as it is such an eye-opening experience. 63 outfits, 12 reviews, 26 week in photos posts and 6 collaborations with brands later, the year is over. On a whole I think 2013 has been pretty rad but I expect that 2014 is going to twice as hectic yet twice as good. I will be visiting London, completing my A-Levels and heading off to uni (aaaaah). I hope your year has also been good and that 2014 will be even better.